Ah, 1973, a year of auspicious events. The Vietnam war mercifully draws to a close. 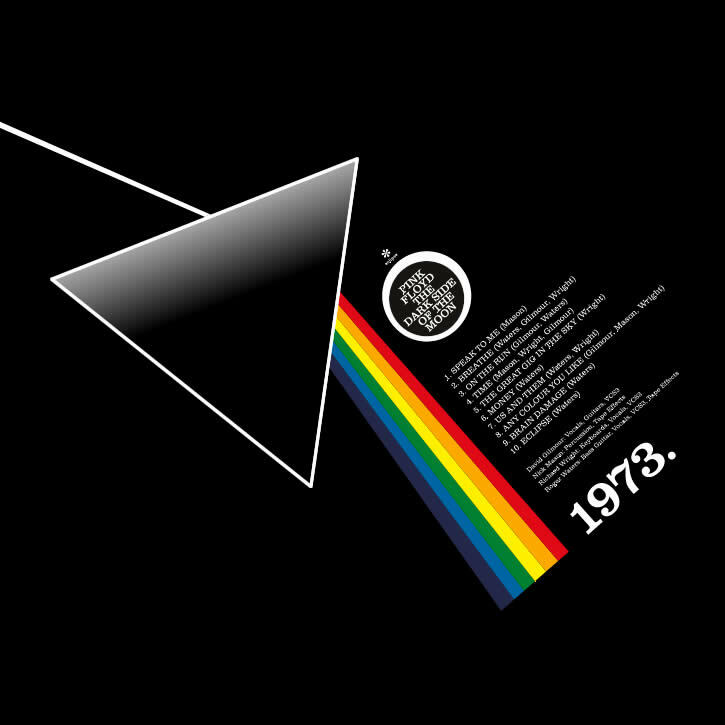 Pink Floyd’s The Dark Side of the Moon invades the musical landscape. The UK joins what will later become the European Union. And in a sunny corner of La Rioja in Spain, the first bottles of Beronia Gran Reserva are cellared to mark the launch of Bodegas Beronia. It’s intriguing to taste four decades of history in a glass, which is what a lucky group of us had a chance to do to celebrate Beronia’s 40th anniversary. We had the opportunity to sip seven of Beronia’s flagship wines, plus the 1973 Gran Reserva and another from 1982. How did the ‘73 hold up? Beautifully. But more on that later. We were ensconced in a private upstairs room at the cavernous Hispania restaurant, located just around the corner from the Bank of England. The tasting was hosted by Gonzalez Byass, one of Spain’s oldest bodegas and among its most visible brands: they’re the folks who brought us Tio Pepe sherry, the world’s best-seller. By Gonzalez Byass standards, Beronia is relatively small and even a bit hippie-ish, but in a good way. Beronia is perhaps not a ‘natural’ winery in the purest sense – its wines do contain sulphites, which help preserve flavour – but the winery does consciously work to minimise the use of fertilisers and chemicals. From its beginnings, Beronia has evinced a passion for experimentation: for example, before it was fashionable Beronia created mixed cooperage barrels crafted with both French and American oak. Most ‘Riojas’ are a signature blend of regional grapes. The classic blend has the meaty Tempranillo grape in the lead, followed by Garnacha for that distinctive Rioja spice. Smaller amounts of Mazuelo, Graciano and/or Viura add essential grace notes. The Beronia wines I tasted were largely of this type, with some interesting exceptions. A 2010 Graciano began with strong but likeable tobacco smokiness and finished with the faintest note of blackberry and liquorice: pleasantly quaffable, and unusually long on the palate. The 2008 Mazuelo was less successful, feeling far less mature than its vintage suggests; the cherry and apple fruit fresh to the point of thinness, the finish almost non-existent. 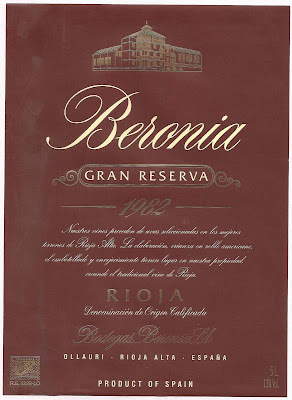 For my money, the absolute star of the bunch – save the Gran Reservas – was the 2008 Beronia Reserva. Dark and brambly, almost chocolaty, the Reserva has the depth and flavour of a much more expensive bottle (Waitrose, £12.99, currently on offer at £9.99). Of the non-Grans I tasted that evening, the 2008 Reserva is the one I’d happily buy a case of. I’ve not said much about the evening’s food, largely because there’s little to say. This was clearly an event where the wines were in a starring role, which perhaps explains the general underwhelmingness of the Hispania dishes on offer. There weren’t any clunkers, though the main course of slow roast lamb with crushed paprika potato was rather dry and the potato the barest smudge of orange on the plate (as for paprika, only the colour signalled its presence). Perhaps most glaringly, the anchovy olives tasted distinctly tinned; mostly salt, fairly little of the deep, oily, anchovy punch one would hope to enjoy. It wasn’t all doom and gloom. There was a nicely presented cured meat platter with generous and flavourful portions of chorizo, saucisson, and jamon. The croquettes spoke most convincingly of more exciting things to be discovered on Hispania’s larger menu: they were moist and crispy, exploding pleasantly in the mouth with rich, earthy compango, a classic Spanish charcuterie item made with bacon, chorizo and blood sausage. Given that Hispania has only been open since January – and that it’s backed by Marcos Moran of the revered Casa Gerardo in Asturias – one is inclined to give the place a bit of time to settle in. 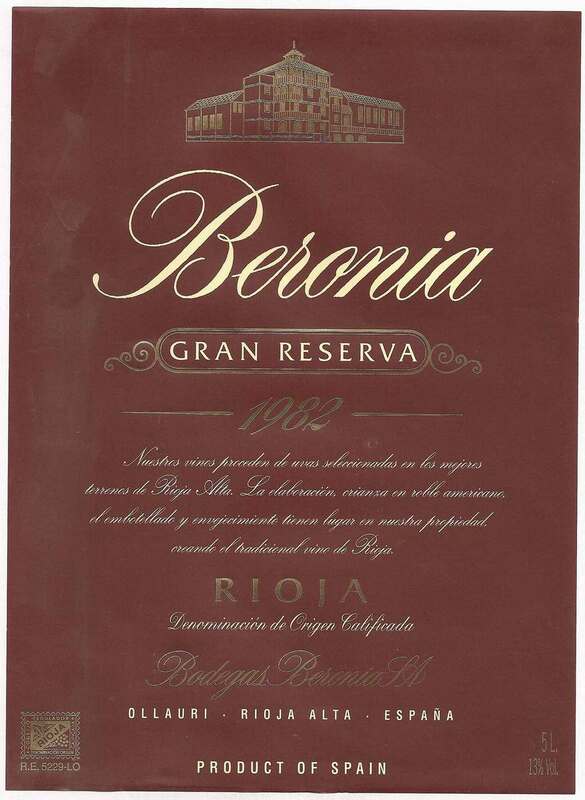 And so we return to 1973, first by way of 1982 and the less-than-hoped-for Beronia Gran Reserva of that year: thick with cherry to start and a carrying nice note of rubber, but tapering off quickly to an almost ghostly finish that echoed with the faintest note of iron. There wasn’t nearly enough tannic bite for my liking, nor what one might expect of a Gran Reserva of this age. Not terrible, just not terribly notable. Happily, the ’73 Gran Reserva was another story. Burnt caramel, creamy liquorice, juicy plum and blackberry: rich, deep, satisfying, alive. Now that’s history worth remembering.